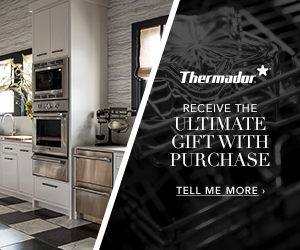 Appliance finishes have long evolved to meet current home design trends. Remember the Harvest Gold and Avocado Green appliances of the 1970s (with the wall-to-wall shag carpet to match)? 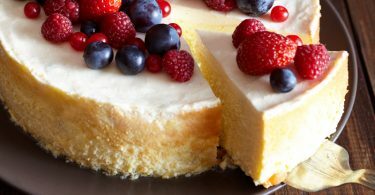 The experience of those once-hot-but-now-not colors made appliance companies realize that most homeowners want appliances to function as a neutral color element in the kitchen, while still being modern, stylistically on point, and always durable. 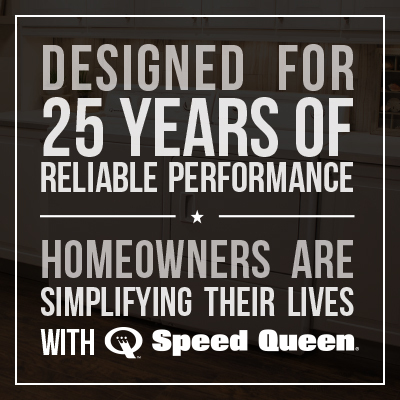 In the 1980s, manufacturers introduced appliance finishes in white, black, and bisque – all very neutral. Then, in the mid-’90s, kitchen designers and homeowners embraced the industrial, professional look of stainless steel. 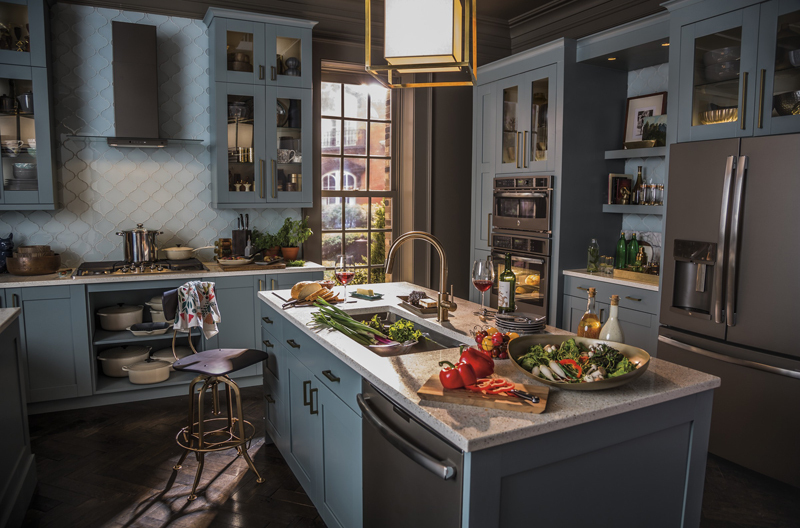 For over a decade, stainless steel has been considered the only choice for discriminating home owners, but as styles change, appliance companies are beginning to offer new choices in finishes to give homeowners more ways to express their personal style. 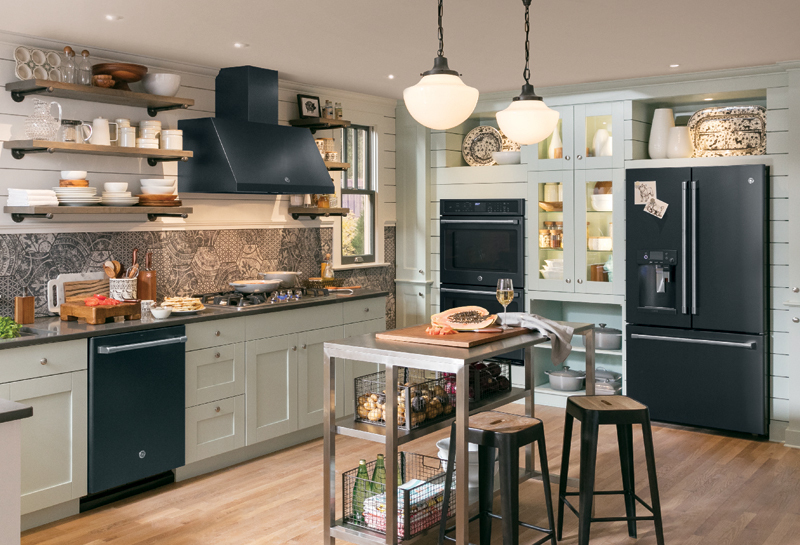 GE Appliances recently added a new, eye-catching black stainless finish to its offerings, along with stainless, black slate, and slate. Click below and to take a tour of these four beautiful finishes. Black Stainless: Black stainless offers a high-gloss, tinted clear finish revealing a distinctive visible grain. 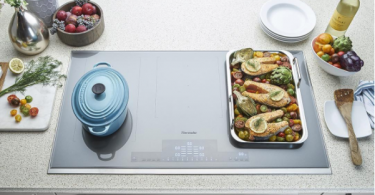 Stainless: Traditional stainless has a high-gloss, tinted clear finish revealing a distinctive visible grain. Black Slate: Black Slate features a dark matte finish that perfectly blends durability and distinction. Slate: The Slate finish has a matte look that hides fingerprints and blends seamlessly into décor. 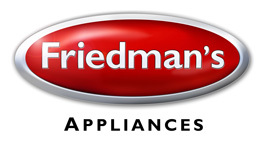 Read more about the finishes offered by GE Appliances, then drop by Friedman’s Appliances to explore these appliance finishes in person.